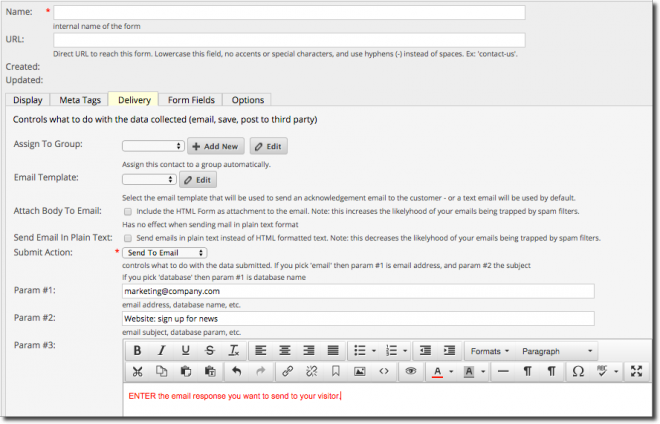 How do I change the email response sent to visitors when they submit a form? Change Param #3 under the submit action marked as Send Email. Visit the form documentation for further details.